Hammer-Schlagen® is the source and origin of a unique service, and we offer it under many elements of our Hammer-Schlagen® brand. Just like any other well known brand, there exist untrue rumors. Here are some of the most common misconceptions. Myth #1: Different Name. All I have to do is change the name, and I can continue to use your trade dress. The law may prohibit you from engaging in an entertainment service similar to our own and under our trade dress. It doesn't matter what you call the service if you use our primary trademark. Doing this is a very destructive act, because you are affiliating a name with our primary trademark that we do not endorse (called "dilution"). Dilution is an infringement separate and disctinct from counterfeiting our trade dress, so you could be committing two separate acts of trademark infringment if you do this. Keep in mind that anyone can engage in a nail driving competition so long as it isn't called Hammer-Schlagen® or looks/feels like Hammer-Schlagen®. For more information about what constitutes Hammer-Schlagen® trade dress, see this free legal advice and the trade dress question below. Myth #2: German Word. Hammerschlagen is a German word that is specific to the service you offer. However, the usage of "Hammer-Schlagen®" in the United States does indicate source and origin in us. Even if we could find evidence that the German word "Hammerschlagen" was specific only to our service in a foreign country, we claim ownership rights by way of our registration filings with the United States Patent & Trademark Office. Myth #3: Hyphen. "Hammer-Schlagen" and "hammerschlagen" are different because one has a hyphen and/or capital letters whereas the other does not. The formal Hammer-Schlagen® servicemark is the properly spelled and punctuated trademark that we use and operate under. Anything that is confusingly similar invokes the same sense of source and origin of appearance, sound, meaning, and commercial impression under the sight-sound-meaning test described by the USPTO. We, therefore, claim ownership of anything that looks similar, sounds similar, has a similar meaning, or is any combination of these three elements not just in our Hammer-Schlagen® mark, but in each and every element of brand. Myth #4: Oktoberfest Origin. Hammer-Schlagen® dates back to at least 18 October 1810 when the Oktoberfest was first held. For those who don't know, the marriage of Crown Prince Ludwig (later King Ludwig I) and Princess Therese of Saxe-Hildburghausen occurred on this date. In commemoration of their marriage, a great horse race was organized in Bavaria each year on their anniversary, which later became the Oktoberfest. We believe the claim that our service was offered under any element of our Hammer-Schlagen® brand at this royal wedding or at any of the subsequent horse races is erroneous. As of today, we can find absolutely no evidence to support this claim. We can only assume that this falsehood originates from the fact that Hammer-Schlagen®'s owners (as well as our predecessors) are of nearly full-blooded German decent. Furthermore, Hammer-Schlagen® has engaged in business with many Oktoberfests throughout the United States since our founding which may have also aided in the formulation of this false claim. Myth #5: Played In Germany. People do this exact same thing in Bavaria. They even use the same kind of wood. 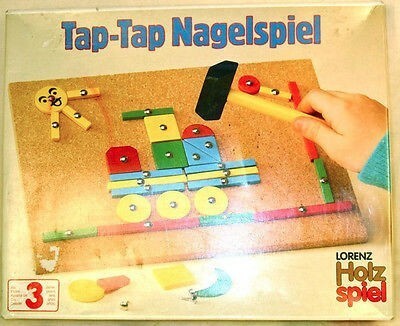 And, the name this service is actually called Nagelspiel. Myth #6: Third Party Use. Other people use elements of your Hammer-Schlagen® brand, so that means anyone can. Anyone can pound in a nail. But, if our service is engaged under any element of our brand (including our trade dress), it is communicated to the public that the nail pounding service is Hammer-Schlagen®. We take the theft of our identity to be quite a serious matter, and pursue infringements that become known to us. Some entities unknowingly infringe upon our brand after engaging in our service with us or one of our licensees. In the overwhelming majority of such cases, we grant licensure to the infringing entities so they may continue to operate without the risk of litigation with us. We are of the opinion that the majority of entities engaging in commerce under one or more element of our Hammer-Schlagen® brand are doing so under licensure from us. We take issue with any entity who knowingly steals Hammer-Schlagen®'s identity. If you are infringing upon our Hammer-Schlagen® brand, you are hereby put on notice to cease and desist your infringements until you obtain a franchise! Myth #7: Trade Dress. Your trade dress is functional, and therefore you cannot protect it. Even if you could protect it, the definition of your trade dress is so narrow that I only have to change one or two things to escape your trade dress rights. This is another common misconception. In the eyes of the law, there are two types of "functionality". The first is called "de facto" functionality, which means the item performs the function that it was intended to perform. Wood performs the function of holding the nail in place; nails perform the function of being struck; and a hammer provides the function of doing the striking. This, however, does not make the wood's, nail's, or hammer's shape "functional" for trade dress purposes because those features are not necessary for the wood, nail, or hammer to do its job when these particular designs and shapes are considered as a whole. As the federal circut court states, "De facto functionality simply means that a design has a function ... Such functionality is irrelevant to the question of whether a mark as a whole is functional so as to be ineligible for trademark protection." Myth #8: Trademark Disclaimer. One of your trademark registrations with the United States Patent & Trademark Office states that no claim is made to the exclusive right to use "HAMMER SCHLAGEN," so you cannot use Hammer-Schlagen® as your trademark. The German word "hammerschlagen," when translated, means to strike or beat something with a hammer ("Sie Hammerschlagen meine Finger" in German roughly translates to "you are beating my finger with a hammer" in English). On 21 March 2000, the USPTO suggested that "striking with a hammer" immediately describes our service. As a condition of registering our logo for federal protection, the USPTO required us to make the disclaimer that "No claim is made to the exlusive right to use 'HAMMER SCHLAGEN', apart from the mark as shown." However, this did not bar us from claiming the phrase Hammer-Schlagen® as our trademark: afterall, we do own the federal filing that protects it. If you have any credible evidence to dispute what we have on this page which may support any of these falsehoods, you are invited to submit your evidence to Hammer-Schlagen® for our most eager review! Examination Guide 1-08. United States Patent and Trademark Office. 23 April 2008. <http://www.uspto.gov/trademarks/resources/exam/examguide1_08.jsp>. Trademark Manual Of Examining Procedure § 1207. United States Patent and Trademark Office. October 2012. <http://tmep.uspto.gov/RDMS/detail/manual/TMEP/Oct2012/TMEP-1200d1e5036.xml#/manual/TMEP/Oct2012/TMEP-1200d1e5036.xml>. Hammerschlagen. Wikipedia. 24 October 2004. <https://en.wikipedia.org/w/index.php?title=Hammerschlagen&oldid=26341351>. Hammerschlagen. Wikipedia. 9 February 2012. <https://en.wikipedia.org/w/index.php?title=Hammerschlagen&direction=next&oldid=463105388>. Trademark Manual Of Examining Procedure, Section 1202.02. United States Patent And Trademark Office. January 2015. <http://tmep.uspto.gov/RDMS/detail/manual/TMEP/Oct2012/TMEP-1200d1e835.xml>. Trade Dress: Everything You Need to Know. Upcounsel. Retrieved: June 2016. <http://tmep.uspto.gov/RDMS/detail/manual/TMEP/Oct2012/TMEP-1200d1e835.xml>. In Re Becton, Dickinson and Co., 675 F.3d 1368 at 1373-4 (Fed.Cir.2012). Ladylike Nail Driving At The Steele County Free Fair. Owatonna People's Press. Jeffrey Jackson. 14 Aug 2014. <http://www.southernminn.com/owatonna_peoples_press/news/local/article_30322343-641b-5113-8802-5f80941588c1.html>.